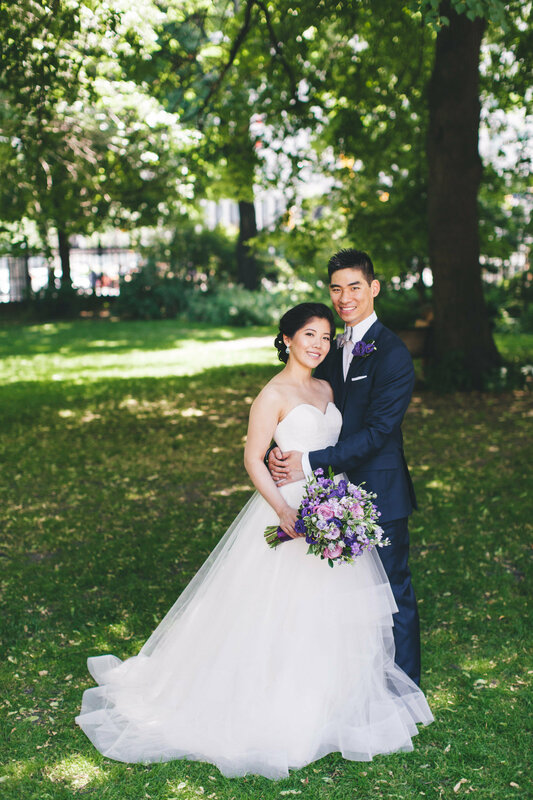 We love when a couple stays true to themselves and incorporates aspects of their personalities into their special day. 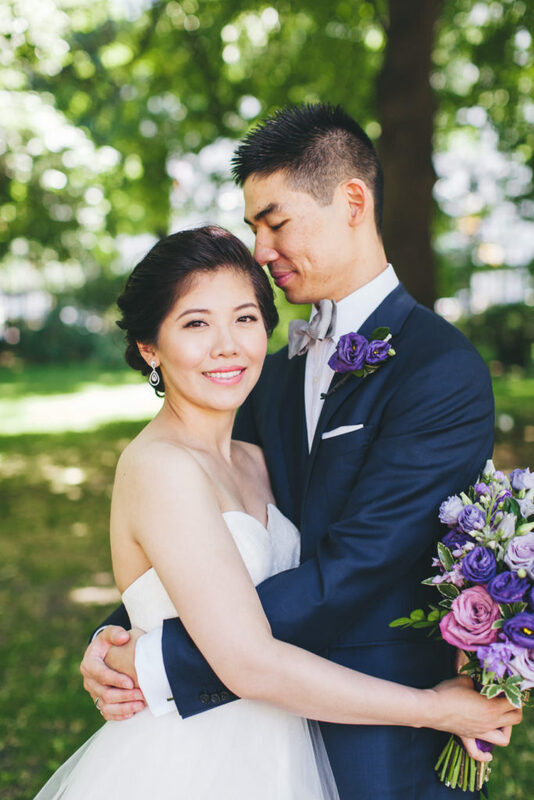 Vicki & Matt were a super sweet and gracious couple that you could immediately tell share a longstanding love that will last a lifetime. 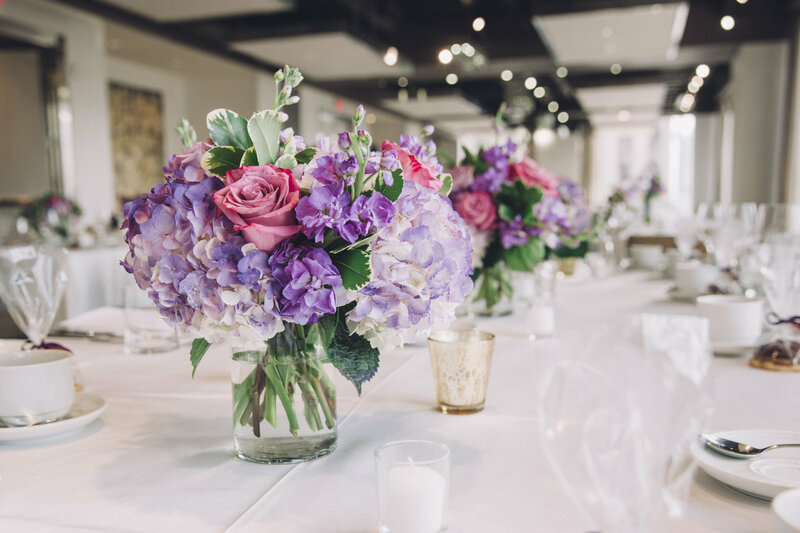 They knew they wanted to incorporate Vicki’s love for purple and Matt’s love of Kid Robot into their wedding decor and we were happy to help with the design, at least for the purple part! 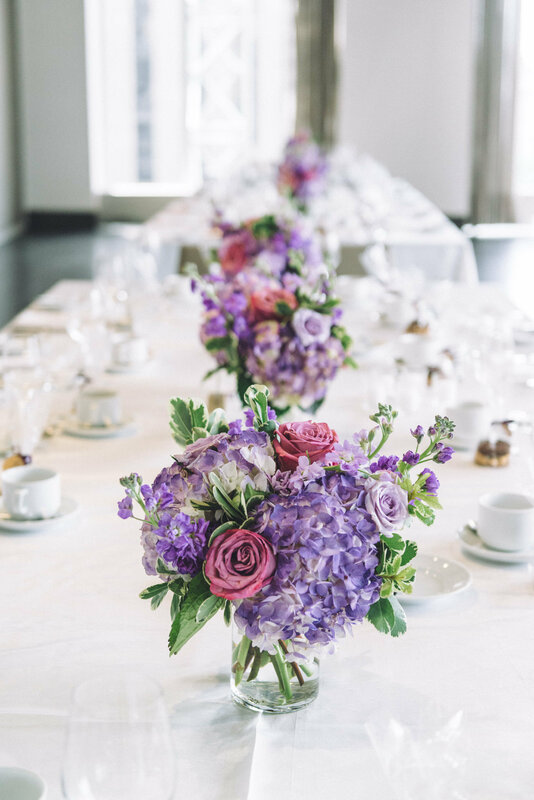 So we created a design concept combining lush purple blooms including hydrangea, roses, lisianthus and stock with relaxed greenery to give just the right pop of colour into the decor scheme. 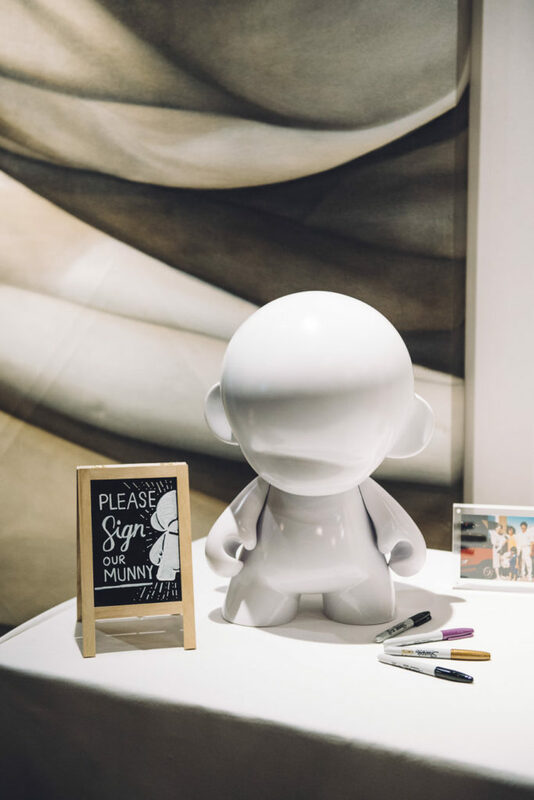 The guestbook took care of Matt’s aspect, which was an 18-inch vinyl Munny guests signed with markers. 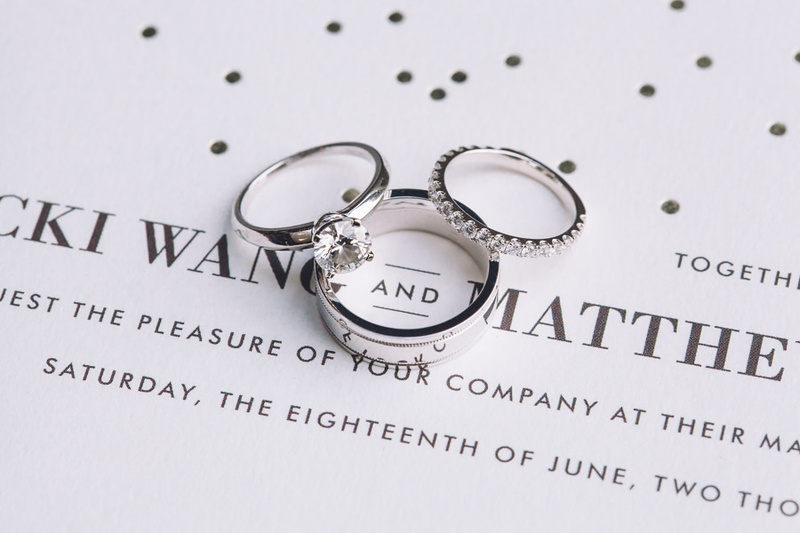 Such a fun and original idea! 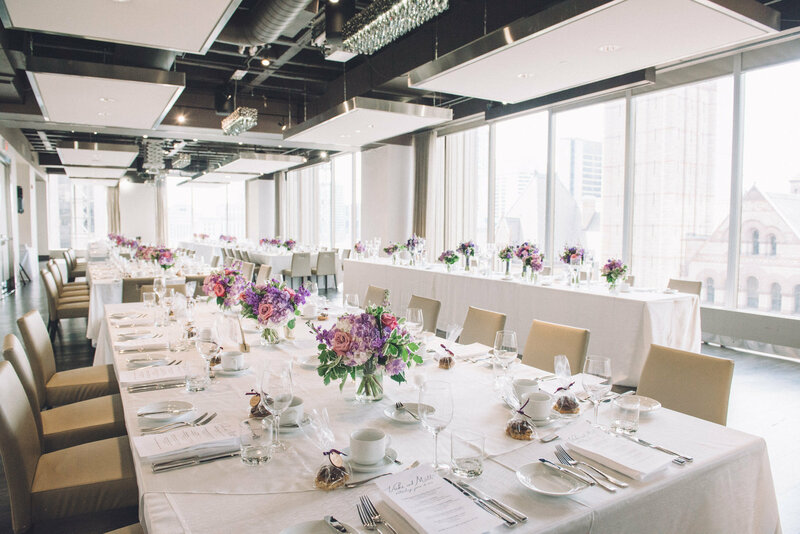 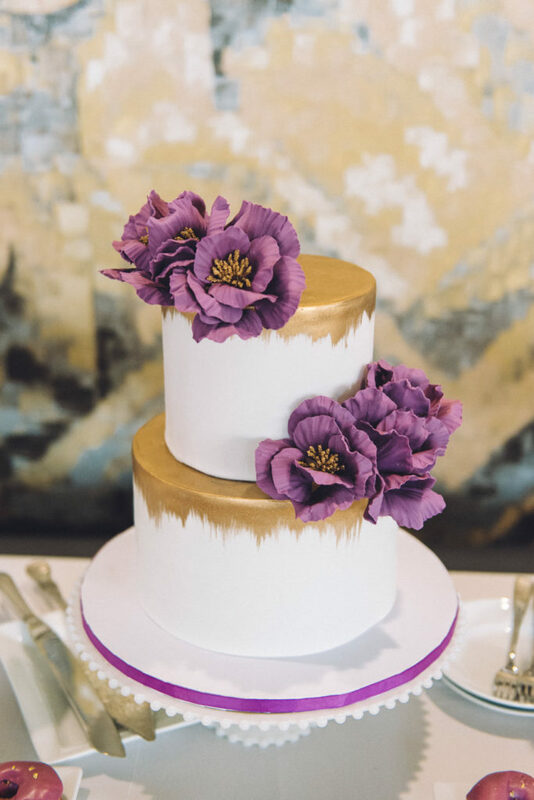 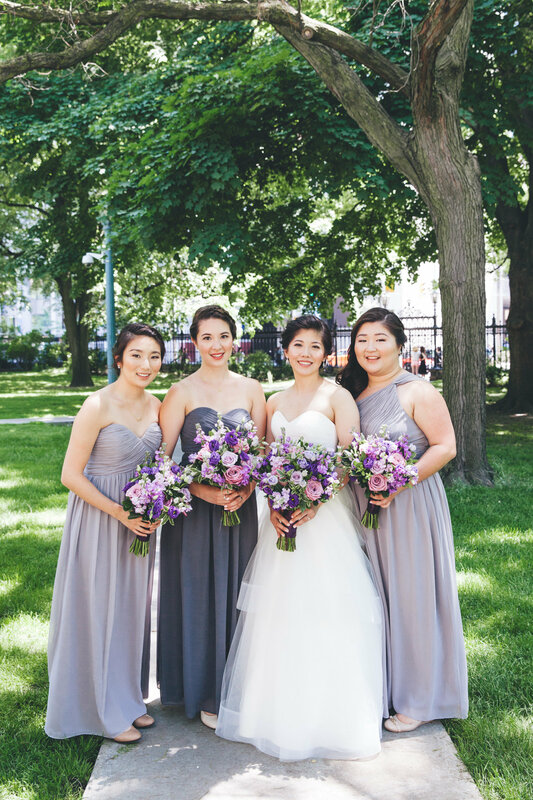 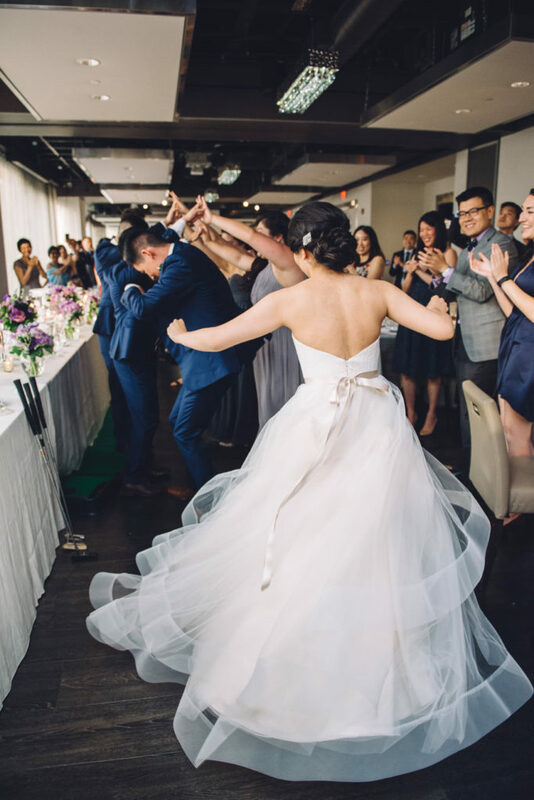 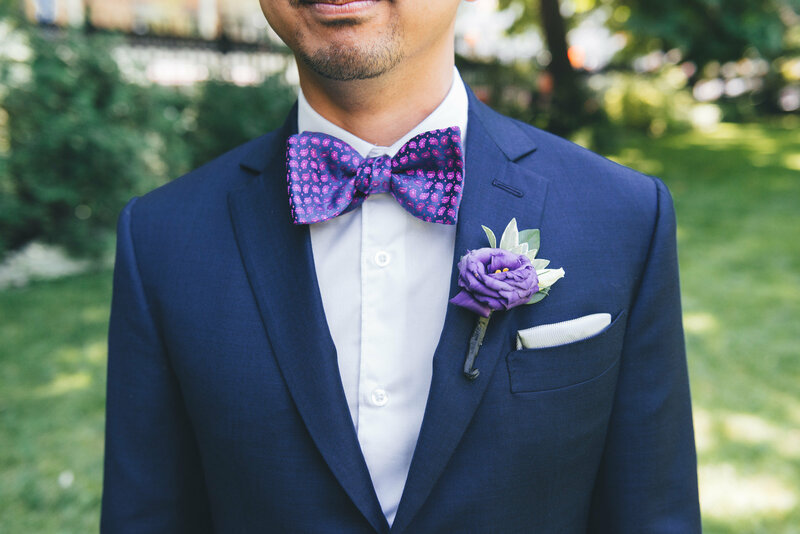 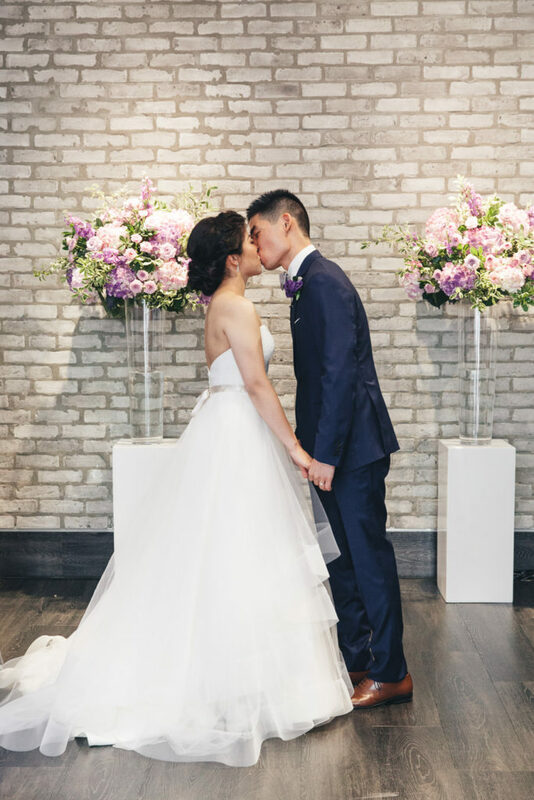 This beautiful and love filled wedding took place at the always fabulous Arcadian Loft in downtown Toronto and was recently featured on The Wedding Co. blog which you can see here, featuring even more of the gorgeous photos captured by Eighty Fifth Street Photography. 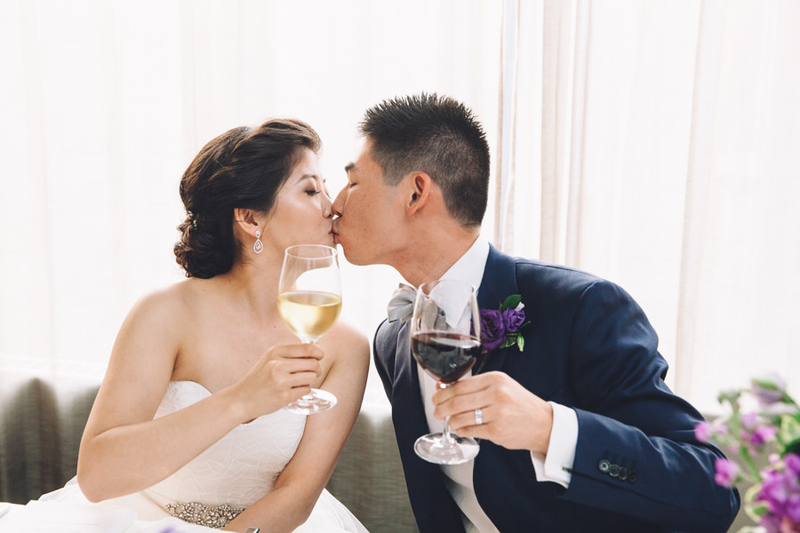 We wish a world of happiness to these two lovebirds and thank them for being apart of their special day. 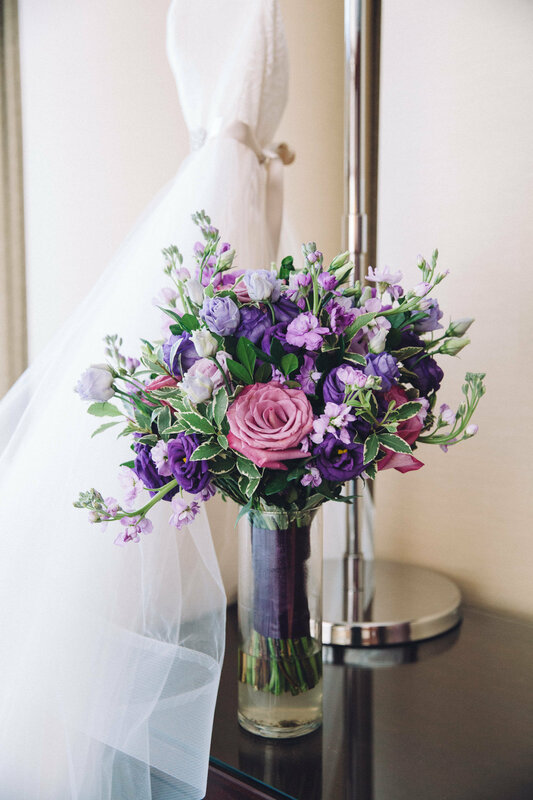 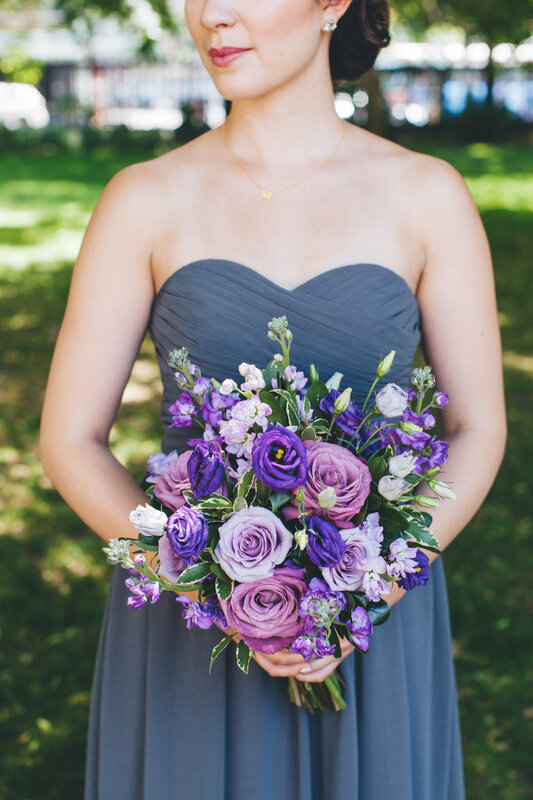 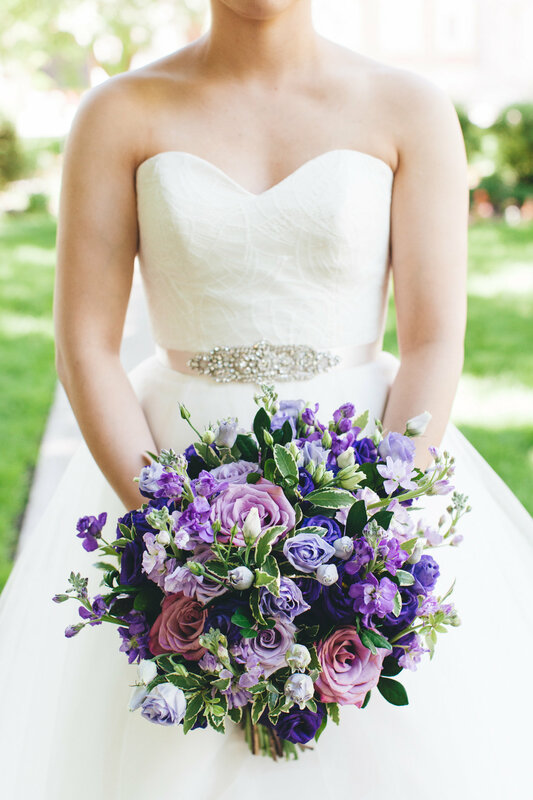 Contact us today to discuss customized florals for your special day.